KM 829 (variant) Austrian Silver 3 Kreuzer Depicting Ferdinand Charles (Karl) of the House of Habsburg, Archduke of Further Austria, Duke of Burgundy, and Count of Tyrol. Obverse: FERDIN [ANDUS] CAROL[VS] • D[EI] : G[RATIA] • ARCHID[VX] : AV[STRIAE] : - Ferdinand Charles by the Grace of God, Archduke of Austria / Reverse: DVX • BVRGVND[IAE] : COM[ES] : TYROLIS - Duke of Burgundy and Count of Tyrol. Ferdinand Charles (Karl) was born to the powerful Austrian ruling family, the House of Habsburg, on May 17, 1628. He was the second child and first son to Leopold V, Archduke of Further Austria, and Claudia de'Medici, daughter of Ferdinando I de' Medici, Grand Duke of Tuscany. 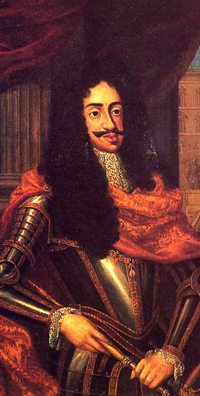 Habsburgs in Austria: The Bavarian Count Leopold I of the Brabenburg Dynasty was the first to be appointed "Margrave in the East" by the Emperor Otto I (the great) and to rule most of what would be called Austria. Austria became independant of the Duchy of Bavaria becoming a Duchy in its own right in 1156. It passed into the hands of the powerful Habsburg dynasty on the defeat of Ottokar II by Rudolph of Habsburg in 1278. With few exceptions Austria would remain a core Habsburg possession for over 600 years, until the deposition of the last Habsburg monarch, Emperor Charles I, in 1918. The Habsburg dynasty was, with few exceptions, catholic and they would soon dominate the Holy Roman Empire. There would be no less than twelve Habsburg emperors in the span of 300 years. From Frederick III in 1452 to Charles VI who, because of a lack of a male heir, attempted to pass his realm to his daughter, Maria Theresa. By creating the Pragmatic Sanction of 1713, he gave himself the ability to make his daughter heir to the throne. 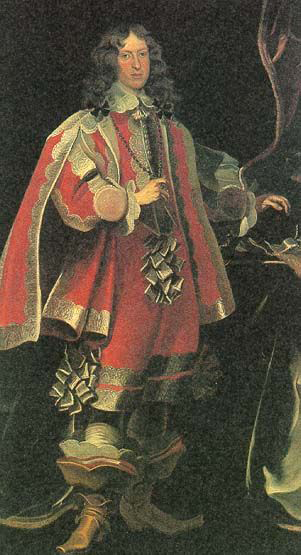 Charles VII (Albert), of the Wittelsbach family, son-in-law to the previous emperor Joseph I, rejected this and claimed the imperial titles and all Austrian possessions upon the death of Charles VI in 1742. This began the War of Austrian Succession. After a brief rule and conflict against Austrian troops under Maria Theresa, Charles VII (Albert) died and his son and heir made peace with Austria. Maria Theresa and her subservient husband, Francis I, Duke of Loraine, formed the House of Habsburg-Lorraine. Austria and the Holy Roman Empire would effectively be ruled by Maria Theresa through her husband and then her son. Her descendants would rule the empire until its dissolution in 1806, after the disastrous defeat of the Third Coalition by Napoleon at the Battle of Austerlitz. The last Habsburg emperor, Francis II, had by then established himself as Emperor of Austria. At various times in its history the Habsburgs, through inheritance or by necessity, would effectively partition Austria dividing the country, titles, and holdings between different branches of the family. The first such major partitioning was between the brothers Albert III and Leopold III. The signing of the Treat of Neuburg in 1379 effectively created two ruling family lines. Albert and his descendants would take what would be known as Lower Austria and form the Albertinian line. The Leopoldinian line would take the Duchies of Styria, Carinthia and Carniola, the County of Tyrol and Further Austria. Later the Leopoldinian line would split when Ernest the Iron, third son of Duke Leopold III, received the Duchies of Styria, Carinthia and Carniola, collectively known Inner Austria. The other Leopoldinian line, otherwise known as the elder Tyrolean line received Tyrol and Further Austria, commonly referred to as Upper Austria. Austrian territory united again under Maximilian I who essentially bought Tyrol and Further Austria from his cousin Sigismund in 1490. Sigismund was the last member of the Elder Tyrolean Line who had experienced an unpopular rule. He inherited the rest from his father Frederick V (Frederick III as Holy Roman Emperor) in 1493. It was again divided among the sons of Ferdinand I in 1564. The territories were briefly reunited again in 1619 when the other lines died without heirs and the upper and lower territories fell to the Archduke of Inner Austria Ferdinand III, also known as Ferdinand II as Holy Roman Emperor. In 1623, during the 30 years war, Ferdinand again divided Austria between himself and his younger brother, Leopold V. Ferdinand III remained King of Germany, Holy Roman Emperor (as Ferdinand II), King of Bohemia and Hungary and Archduke of Lower and Inner Austria. Leopold V, the Younger Tyrolean Line, was given sovereign rule as Archduke over Further Austria, Tyrol and other holdings. By this time, the sovereign of Further Austria was the Archduke ruling as the Count of Tyrol. Ferdinand Charles was only 4 years old when his father, Leopold V, died in 1632. He ruled with his mother as regent until 1646 when he came of age (18) and took sole control of his inheritance. As the younger Tyrolean line, he was loyal to his family and took his place in the Holy Roman Empire behind his cousins of the elder line, first under Ferdinand IV and then under Leopold VI (as emperors known as Ferdinand III and Leopold I.) His mother and he were aided by the able and experienced advisor, minister Wilhelm Bienner whom, under the regency and under Ferdinand Charles, served as the chancellor of Tyrol. Bienner had served under the Elector of Bavaria, Maximilian I and was later appointed by Emperor Ferdinand II to be a judge at the Imperial Court. He was assigned to Archduke Leopold V of Tyrol as an advisor and later as court chancellor under Claudia de'Medici. He continued in this capacity under the Archduke Ferdinand Charles. As chancellor of Tyrol, Bienner not only strengthened and reaffirmed Tyrol's right to territories who looked to secede but he also took measures to stem official corruption. He was an able mediator and astute minister in foreign affairs who was often called on to settle disputes, both between internal factions as well as disputes between Austria and other nations. Through diplomacy he prevented a French invasion of the Münstertal in Switzerland and he prevented the secession of the ecclesiastical principalities Brixen and Trient by enforcing their contractual ties to Tyrol. Bienner also took measures to strengthened the power of the sovereign, a move that might have strengthened his position as chancellor to the court but eventual lead to his downfall and demise. Placing greater powers in the hands of the hereditary monarch made him unpopular with powerful men who would in turn see their own powers diminished, and the young Archduke soon proved ill-suited to wield such power. An all too familiar story of the spoiled prince and the follies of inherited power. Further Austria was the collective name given to the old possessions of the Habsburgs in Baden, Swabia (south-western Germany), Alsace and Vorarlberg after the focus of the Habsburgs had moved to Austria. Although he did enjoy a measure of autonomy, as the ruler of the younger line, the position of Ferdinand Charles was subordinate to his imperial cousins in the elder line, the rulers of Lower and Inner Austria. While other holy roman states were gaining more independence as a result of the Thirty Years War and the treaty of Westphalia, the Habsburg emperors chose to consolidate and reassert their control over hereditary lands in Austria and other such holdings, strengthening Habsburg family ties to preserve their power base. 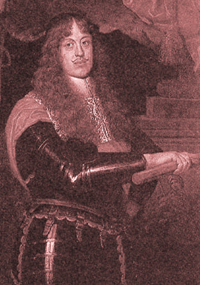 Ferdinand Charles was, as is common with Habsburgs, an absolutist ruler who had little patience for advice or anyone who would oppose his will. He was more accustomed to luxury and leisure than the mundane matters of state or the mechanism of war. 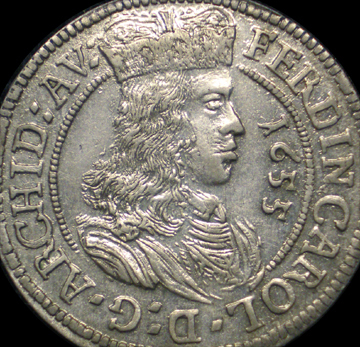 He did not call a Diet after 1648 and soon came into conflict with his chancellor by selling goods, entitlements, and even the rights to Tyrolean territory. 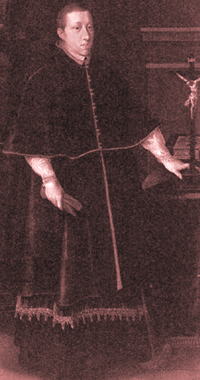 Chancellor Bienner protested in vain as Ferdinand Charles sold the Austrian held Prättigau and the Lower Engadin to Graubünden to finance his extravagant style of living. This opposition did not endear him to the young Archduke and in 1650 he fell from power. Bienner was charged with treason and embezzlement, and subsequently sentenced to death after a brief and secretive trial. Although he vehemently denied the charges he said were fabrications by his enemies, he was still executed in 1651 in the town of Rattenberg. 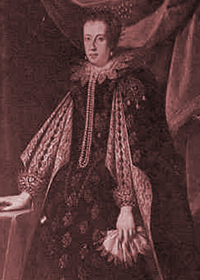 Ferdinand Charles married Anna de'Medici. 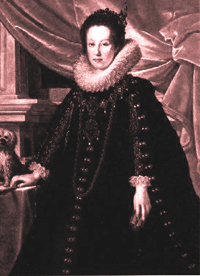 She was a daughter of Cosimo II de' Medici, Grand Duke of Tuscany and Maria Magdalena of Austria. 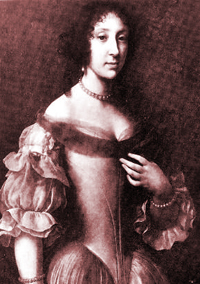 They had two Daughters; Claudia Felicitas who married her cousin Leopold I, Holy Roman Emperor and Maria Magdalena. Claudia had two children who died young and she died soon after at the age of 22. Maria also died young at the age of 13.